RUSH: The former U.S. attorney for the Southern District of New York, the now famous SDNY, is a man by the name of Preet Bharara. And Mr. Bharara, no longer the U.S. attorney for the Southern District of New York. He’s a big Schumer guy, always was a big Schumer guy. But he’s not the SDNY U.S. attorney now. He’s out doing other things. 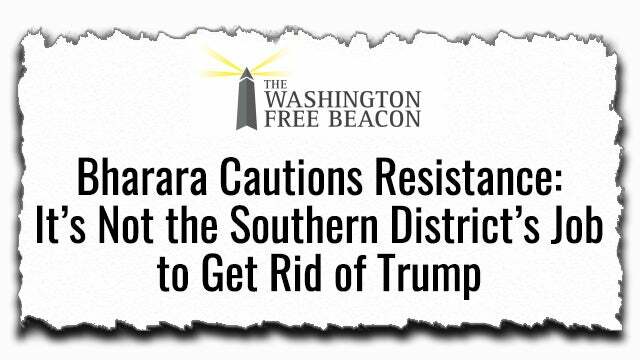 And he said yesterday that it’s not the Southern District’s job to get rid of Donald Trump. 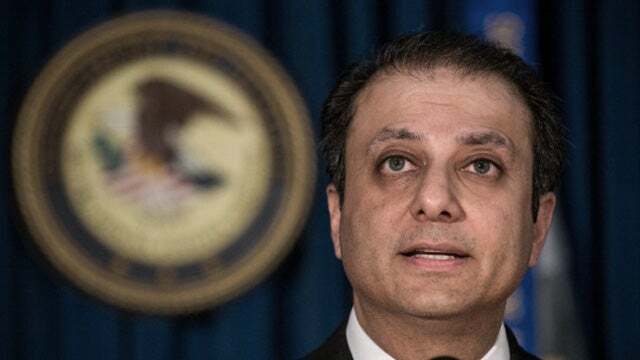 “Former U.S. Attorney for the Southern District of New York Preet Bharara advised opponents of President Donald Trump Tuesday not to put their hope into being ‘delivered from him’ by the SDNY. Bharara appeared on Deadline: White House and cautioned the ‘resistance’ to focus on defeating Trump in the 2020 election. Many progressives were already disappointed last month,” that the Mueller report was a bomb. Really? The hell it wasn’t. And it still is! He went on and said, “The Southern District’s job, the place I used to lead, is not to get the president. Maybe they’ll find evidence of a crime, maybe they’ll think they have something to say in a courtroom, whether it’s about the hush money payments or something else or the Trump Organization, but if people don’t like the direction of the country and they think we’re moving away from the ideals of the country should be about, whether it’s on immigration or decency or rule of law, then they should set their sights,” on the ballot box and not the SDNY. Well, now, this has thrown everybody for a loop because this is the exact opposite of what Preet Bharara was saying. It seemed like Bharara thought it was the SDNY’s job to get rid of Trump, and it seemed like Mueller passed the buck to the SDNY. In fact, you know Comey’s daughter works there? Oh, you didn’t know that? Comey’s daughter is Maurene Comey. She’s an assistant U.S. attorney in the office of the Southern District New York, U.S. attorney. But Bharara was saying just a few days ago when the Mueller report first came out, he said Donald Trump is not out of legal jeopardy. The Southern District did not have the narrow mission the special counsel had. This was just a few days ago. The Mueller report came out, and that is what Bharara said. When the Mueller report was a gigantic dud, Bharara said Trump’s not out of legal jeopardy. The SDNY doesn’t have the same narrow mission. By the way, Mueller did not have a narrow mission. Mueller had the permission, if you will, to go find a crime anywhere he could. He didn’t have a narrow mission. Anyway, now Bharara, in less than a week, is now telling all these lunatics on the left, “Hey, SDNY, it’s not their job to get rid of Trump.” That’s not what the left thinks. The left thinks the special counsel’s there to get rid of Trump, the SDNY’s purpose is to get rid of Trump, Democrats’ role is to get rid of Trump, mainstream media’s job is to get rid of Trump.